The road isn't necessarily long and winding... well, it is long but not too windy. State Highway 54 leads from Van Horn, Texas, to the Guadalupe Mountains. I stopped to shoot this view of Guadalupe Peak and El Capitan from the middle of the highway (I spent about 10 minutes here and never had to move). 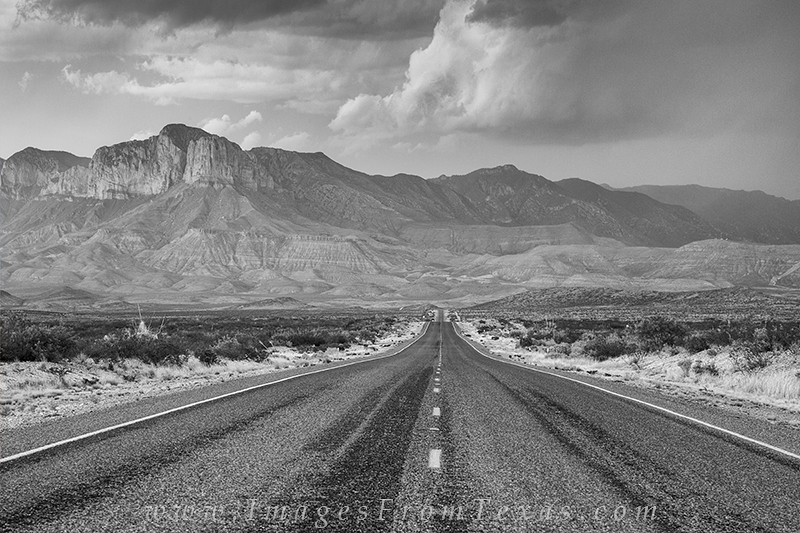 The clouds added drama to the black and white scene in this rugged Texas landscape. Photo © copyright by Rob Greebon.